Insomnia is a common sleep disorder. People who have insomnia have trouble falling asleep, staying asleep, or both. As a result, they may get too little sleep or have poor quality sleep. They may not feel refreshed when they wake up. There are two types of insomnia: primary insomnia and secondary insomnia. Primary insomnia: Primary insomnia means that a person is having sleep problems that are not directly associated with any other health condition or problem. Secondary insomnia: Secondary insomnia means that a person is having sleep problems because of something else, such as a health condition (like asthma, depression, arthritis, cancer, or heartburn); pain; medication they are taking; or a substance they are using (like alcohol). Insomnia can be acute (short-term) or chronic (ongoing). Acute insomnia lasts for days or weeks. Chronic insomnia lasts for a month or longer. Insomnia can cause daytime sleepiness and a lack of energy. It also can make you feel anxious, depressed, or irritable. You may have trouble focusing on tasks, paying attention, learning, and remembering. These problems can prevent you from doing your best at work or school. Insomnia also can cause other serious problems. For example, you may feel drowsy while driving, which could lead to an accident. 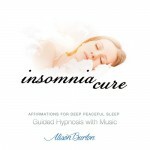 Hypnosis is often an effective treatment for those suffering from insomnia. 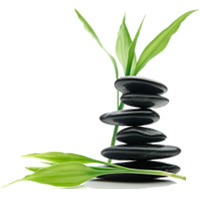 Hypnotherapy can help an individual to relax, both mentally and physically, using varying relaxation techniques. Hypnotherapy can also help an individual to understand some of the causes of insomnia and sleeping problems. Many people suffering from insomnia believe they are not going to be able to sleep, which often means they don’t. Hypnotherapy can help to re-educate an individuals mind to expect a good night’s sleep. A regular massage can directly influence the body’s production of serotonin which is a precursor to melatonin. Because serotonin plays a role in sleep in multiple areas of the brain, it is logical to seek ways to increase serotonin levels for people that are sleep deprived. In addition, serotonin is needed for our bodies to produce melatonin. As melatonin influences the sleep stage of our circadian rhythm, a natural way of boosting serotonin is a positive sleep inducing option. A great place to start is with Sleep Hygiene. Download this handout to get started. Most people benefit from somewhere between 3 and 8 sessions depending on the issues underlying your insomnia. Using a hypnosis CD regularly between appointments will often enhance your progress.